I have been thinking about St George, the patron saint of England, whose life is celebrated this week, and I was reminded of the frescoes at St Botolph’s, Hardham. These beautiful wall paintings include a series of panels devoted to St George. The simple church with its exterior lime washed walls lies just to the south of Pulborough. It is one of my favourite places to stop and pray when I am working. The first time you encounter the medieval frescoes of one the five Lewes Group of Churches, you cannot fail to be moved by the clarity and beauty of these late 11th/early 12th century wall paintings. 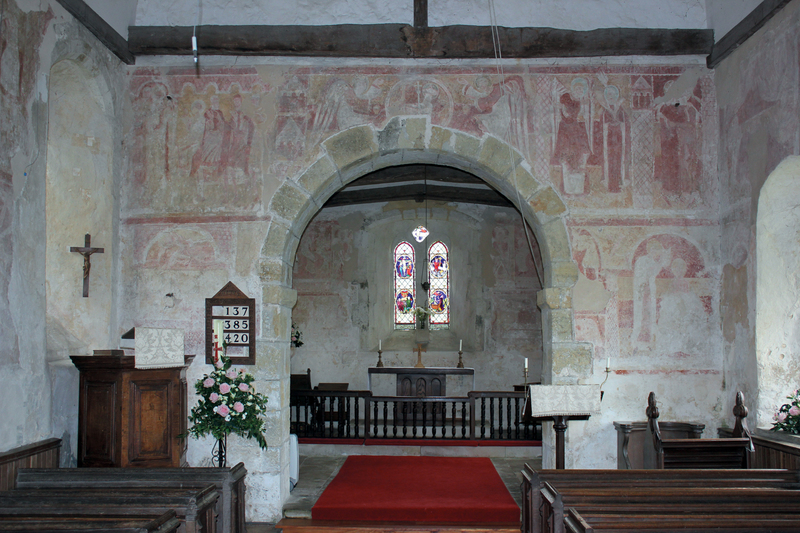 The frescoes at St John the Baptist, Clayton, St Botolph’s, Hardham, and Coombes at Lancing are still visible and alive in their predominantly russet hews. They were first termed the Lewes Group in the early 20th century, reflecting a consensus of academic opinion that these pictures reflected a school of monastic artists from the powerful Cluniac Priory of St Pancras at Lewes. The style of these wall paintings is influenced by both the Byzantine and the Romanesque. The Byzantine Empire developed out of the Roman and they never forgot their classical heritage in respect of art and architecture. There was, however, a conscious movement towards the more abstract and less representational with elongated stylized figures. It was as though the artists were seeking to allow us to see beyond our immediate perception – to glimpse the glory of God and inspire us to devotion. Frescoes are wall paintings painted directly on to the plaster while it is still wet. The artist has to work quickly and as the plaster dries the pigments and image are fixed. This technique was used throughout the Renaissance in Italy and elsewhere. While the work at Hardham is less refined than the painting at Clayton, it is equally engaging, embodying the clarity and directness which defines the Lewes painters. Some of the figures at St Botolph’s reflect the Romanesque figures of the French Tradition. Take, for example, the famous depiction of Adam and Eve with their elongated bodies and small heads. It is these characteristics which set them apart from earlier paintings. But at Hardham there is play and movement in the drapery of the clothes, which, to my eye, highlights the characteristics and influence of the earlier Anglo Saxons in the painter’s hand. This was certainly the considered view expressed by patron and art critic Clive Bell when he wrote about the medieval church frescoes at Clayton and Hardham for the Miller’s Press, Lewes, in 1947. Clive Bell’s opinions on art were influential. He championed Picasso and was married to the artist Vanessa Bell of Bloomsbury and Charleston House fame. Using the methods of contemporary art criticism, he disputed whether all the Lewes Group paintings were united in their stylistic qualities and influences. He did not, however, question the artists’ association with the Cluniac Priory at Lewes. When you arrive at St Botolph’s, sit and rest a while. Open your heart to a millennium of layered love, prayer and worship. Allow your eyes to adjust. Take time to stop and stare and, as you do, you become aware of the extraordinary frescoes painted in those russet hews so typical of the Lewis group of Churches to which Hardham belongs. Since the Renaissance we have become used to viewing art in frames. While the work may invite us in, we nevertheless remain the viewer. The painted medieval church is different; here we inhabit the piece of art, joined with the narratives displayed all around us. In viewing art, the qualities of the aesthetic and the religious are held in tension. Where there is a shared religious heritage, visual art can inspire a vital, living religious experience. They can, however, be viewed purely as a process of rational thinking, a form of teaching, at once experiential and contemplative. 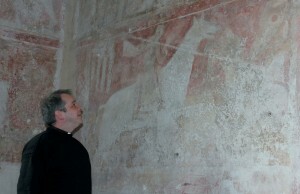 Above the chancel arch at Hardham, for example, Jesus is depicted as the sacrificial Lamb of God (the Agnus Dei). In the chancel, the painting of Adam and Eve seeks to allow us to comprehend our free will as creatures created in the image of the God, who knows us completely, delights in us and invites us to accept His love. On the lower tier of the north wall, you will discover a series of depictions of St George. In the first section he is on horseback bearing a lance. It was originally thought that this depicted our 4th century patron saint slaying the dragon. Little is known of his life but it is thought that he was a Christian Roman soldier, who defended his fellow believers against persecution and was martyred for his actions. In the 1960s it was discovered that the dragon was in fact a slain figure with a kite-shaped shield. It is now thought that this scene relates to descriptions of the Battle of St Antioch in 1098. The battle was part of the First Crusade. Accounts of the battle describe how a later St George and two other saints, mounted on white horses and bearing white banners, came to the relief of the crusaders. Further scenes at Hardham show him being held captive, tortured and martyred on the wheel. It is remarkable to reflect that these pictures were painted shortly after the Battle of Antioch. These stories reflect the courage and bravery offered by these soldier saints in defending the people they served. Their examples of selfless love and service to others is as resonant today as it was then as our armed forces seek to bring peace, to make lives better through their courage and sacrifice, wherever they serve around the world. 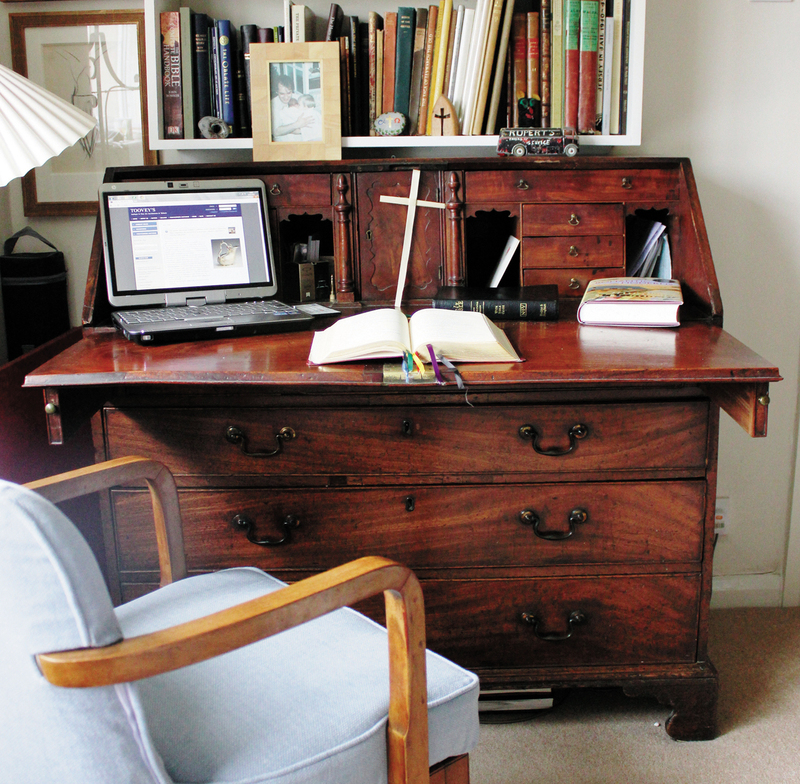 St Botolph’s, Hardham, is open daily with regular Sunday services. By Revd. Rupert Toovey. Originally published on 24th April 2013 in the West Sussex Gazette. In the 20th century many artists rediscovered their role as artisan artists and designers, as well as painters and sculptors of fine art. One of the ways that this was expressed was by making printed woodblock illustrations for fine books, printed by private presses. The beginning of the British private press movement is commonly attributed to William Morris, who established the Kelmscott Press in 1890. William Morris led what was to become known as the Arts and Crafts movement. Its principles were inspired by the writings of John Ruskin, who mourned the effects of the industrial age on society and craftsmen. He advocated a return to an age of the ‘free’ craftsman. The movement stood for traditional craftsmanship and simple forms, often embellished with interpretations of romantic and medieval decoration, including Gothic. 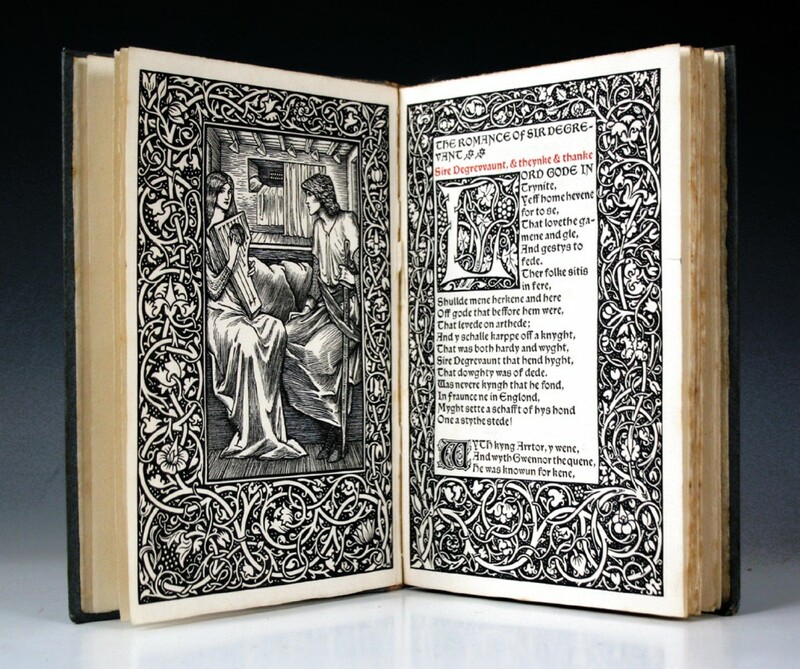 The Kelmscott Press woodcut frontispiece illustrated was designed by the Pre-Raphaelite Sir Edward Burne-Jones, with whom William Morris worked in partnership on numerous designs, including churches. It depicts a scene from the book of ‘The Romance of Sire Degrevant’. 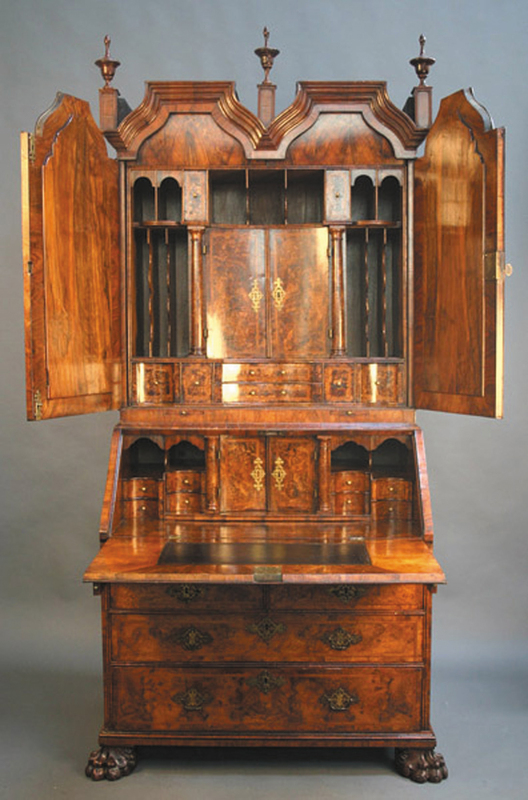 The surround mirrors Morris’s own affection for the patterns of flower and leaf, which he too loved to design. The text is in Chaucer type, in red and black. Morris printed the book on 14th March 1896, a testament to his creative energy, even towards the end of his life. His principles, aesthetics, standards, qualities and techniques are strongly reflected in the Kelmscott Press project. He died on 3rd October 1896. The book was eventually issued by the Trustees, in an edition of 350 copies, in November 1897. Other Victorian presses included the Eragny Press, run by the artist Lucien Pissarro and his wife, and C.R. Ashbee’s Essex House Press, which formed part of the activities of the famous Guild of Handicraft. Perhaps the two most notable private presses in Sussex for the prospective collector to look out for are the Vine Press, Steyning, and the Ditchling Press, Ditchling. 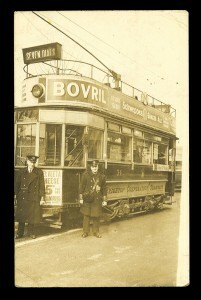 Both were operating in the early 20th century between the wars. Vine Press reflected the passions of its owner, the English poet and writer Victor Benjamin Neuberg. The Ditchling Press was part of the Guild of St Joseph and St Dominic. At this time it represented an experiment of artists living and working together in community under the leadership of its founders: Eric Gill, Hilary Pepler and Desmond Chute. 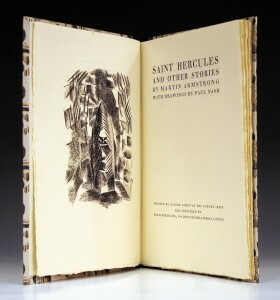 Private press books published in the 20th century continued to be illustrated by leading British artists. Many of these are printed in limited editions, signed by both author and artist. The illustrations are often printed from the woodblock upon which the artist drew and carved the image. They are an accessible and relatively affordable way to collect their work. The Sussex collector may also be drawn to artists working in the county. Take for example Paul Nash, who, as readers of this column will know, worked in Sussex and whose work is currently being exhibited at Pallant House Gallery as part of the Clare Neilson Gift. This copy of ‘Saint Hercules and Other Stories’ is owned by a local private collector, who purchased it at a Toovey’s specialist book auction a few years ago for £400. The author, Martin Armstrong, based these stories on interpretations of tales including those from Palladius’s ‘Paradise of the Holy Fathers’ and Petronius’s ‘Satyricon’. His excellent narrative is complemented by five beautiful illustrations by Paul Nash. The book is numbered 26 of an edition of just 310. It was printed by Oliver Simon at the Curwen Press in 1927, on hand-made Zander’s paper. Private press books, like this one, connect us with these artisans – the artist, author and printer – in what was a very personal and direct creative process. Advances in printing in the 19th century revolutionised the production of books. Today, technology is once again revolutionising how books are made available to us. Indeed, there is much debate about the survival of the printed book in the face of Kindles, iPads and tablet PCs. But it is worth remembering that the private presses came into being as part of a reaction against the industrialised age. This was expressed through William Morris’s Arts and Crafts movement. Perhaps this window into our past might provide a window into our future. Private press books remind us of the pleasure of engaging with the printed word; the smell, touch and sight of books speaks to our senses and delights us in a particular way. So perhaps the future is in beautifully produced books. Certainly the demand for antiquarian and collectors’ books at Toovey’s has remained strong – a growth market for sellers and buyers alike. Tales of the demise of the book, it would seem, have been over-exaggerated! By Revd. Rupert Toovey. Originally published on 17th April 2013 in the West Sussex Gazette. An insightful show of work by the 20th century British artist Paul Nash opened at Pallant House Gallery in Chichester earlier this week, including wood engravings, etchings, photographs, collage and illustrated books. The work provides a rare insight into the relationship between patron and artist, as shown by the photograph taken of Paul Nash by collector Clare Neilson. Their very particular friendship was first formed while Nash was living in and around Rye in the 1930s. It is fitting then that this collection should find its new permanent home in Sussex, thanks to the generosity of Clare Neilson’s godson Jeremy Greenwood and the Art Fund, the national fundraising charity for art. 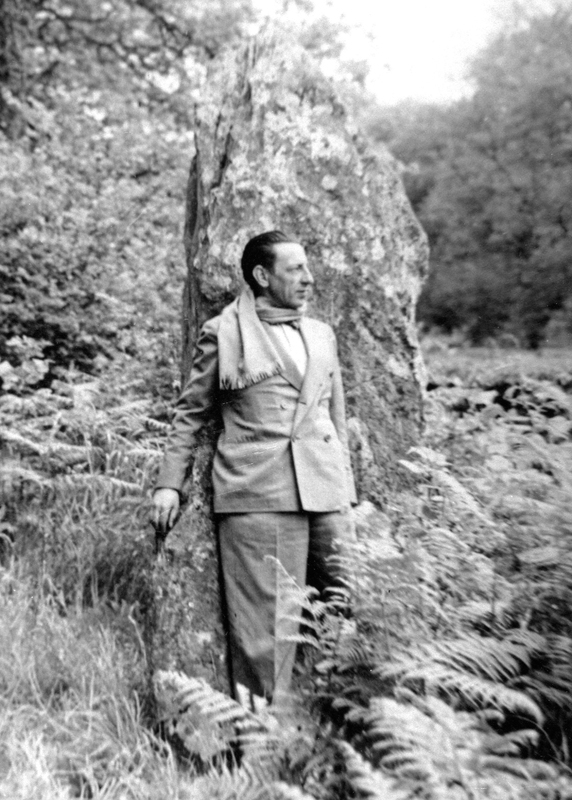 Paul Nash is often thought of as an essentially English artist but between the wars he also sought to champion the hope embodied in continental modernism, defending Picasso and experimenting with abstraction before embracing Surrealism. He served as a soldier in the trenches of the Great War and subsequently worked as a war artist on the Western Front between 1917 and 1918 and again during the Second World War. This body of work provides a stark commentary on the reality of war. He was drawn to objects sculpted by nature and had what some have described as an overriding habit of metaphor. Trees, for example, could take on the character of stones. This serves to highlight the poetic nature of his painting and how firmly rooted he was in the English tradition as well. Indeed, his earlier work is influenced by the 19th century English Romantic tradition of William Blake (who also lived in Sussex, at Felpham, between 1800 and 1803), Samuel Palmer and Dante Gabrielle Rossetti. With this in mind, you could forgive John Piper for including one of Nash’s paintings in his 1943 book ‘British Romantic Artists’. Nash was less than pleased, though. It was the word ‘romantic’ which bothered him and he referred, instead, to the ‘poetic’. Certainly, as an artist he returned again and again to the poetry of the English landscape. He sought to look beyond the immediate to what he referred to as the ‘genius loci’, the spirit of the place, to ‘a reality more real’. 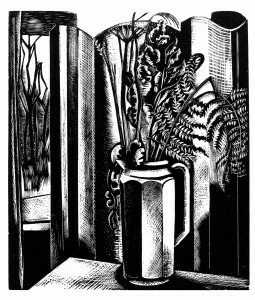 Paul Nash, Still Life (No.2), circa 1927, wood engraving, Pallant House Gallery, The Clare Neilson Gift through the Art Fund, copyright TATE London 2013. Paul Nash was noted for collecting all manner of objects, including seashells, pebbles, seedpods and bits of branches, all of which fuelled his imagination. In 1920, the Society of Wood Engravers was formed and Nash joined. His still life studies are not generally among his most highly regarded pictures. In this woodblock print from 1927, however, the relationship between the glimpsed landscape and still life reflects a paradoxical quality, which recurs in his work. Note also the uncompromising contrast of black and white, of which some, like Jacob Epstein, were critical. But this technique, combined with his unerring and poetic eye, seeds drama in our imaginations and allows us to glimpse something beyond our immediate perception of the world. Paul Nash exhibited with Epstein at the important ‘Exhibition of the Work of English Post-Impressionists, Cubists and Others’, where his work was selected by Spencer Gore of the Camden Town Group. The exhibition was held at the Public Art Galleries in Brighton between 16th December 1913 and 14th January 1914. Nash also taught and championed two other artists noted in Sussex, Eric Ravilious and Edward Bawden, at the Royal College of Art in London. I have long been of the opinion that Sussex stands out as an important centre for Modern British Artists working in the 20th century. Paul Nash’s original and influential work, his connection with Sussex and the insight the Clare Neilson Collection affords us, serve to reinforce my view. We live out our lives relationally and our possessions can help us to articulate the narrative of our lives. Very often they reflect points of love and friendship in our journeys. In these ways they can help to ground us in this life, but it is important to remember that we are only the custodians. The Clare Neilson Collection and the generosity of its gift speak loudly of this and deserve to be celebrated. ‘Paul Nash – The Clare Neilson Gift Exhibition’ is on show from 9th April to 30th June 2013. For more information and opening times go to www.pallant.org.uk or telephone 01243 774557. By Revd. Rupert Toovey. Originally published on 10th April 2013 in the West Sussex Gazette. 2013 has seen TOOVEY’S become members of the Postcard Traders Association. The Postcard Traders Association (PTA) was formed in 1975 by a group of pioneering dealers who felt that the rapidly expanding hobby required a more professional approach, with regard to its organisation, regulation and direction. Today the PTA represents the foremost dealers from around the globe, auctioneers, fair organizers, publishers and accessory distributors among its members. All have been vetted to ensure that the high standards and objectives set upon its foundation are maintained to help in protecting collectors against unfair or dubious trading practices. It is, in effect, a guarantee or badge of fair trading, known by collectors and other dealers and has agreed a code of ethics which all members are required to adhere to. Toovey’s are one of only a few auctioneers that have been accepted by the PTA and received membership to the association. It is largely attributable to Nicholas Toovey’s personal interest in postcards and is recognition for his continuing promotion of the Sales of Paper Collectables and the field of collecting postcards. Toovey’s next auction of Paper Collectables is on 16th April 2013, the catalogue is now online and can be viewed by clicking here. The auction includes 90 Lots of postcards, including numerous vintage postcards of Sussex, the rest of the UK, China, Hong Kong and elsewhere, artist postcards by Louis Wain and Mabel Lucie Attwell, Military and Sport postcards. Also included in the specialist auction is a rare postcard of a Brighton Corporation Tramways tram showing various advertisements and the destination as ‘Seven Dials’, offered as a single item (Lot 3045) this rare postcard carries an estimate of £30-50. Entries are currently invited for the next specialist postcard auction to be held as part of the August Sale of Paper Collectables, please call our offices for deadlines and further information.